I snagged this desk from my grandmother’s house recently. It was sitting in the garage waiting to be sold… but having granddaughter privilege, I laid claim and brought it home. 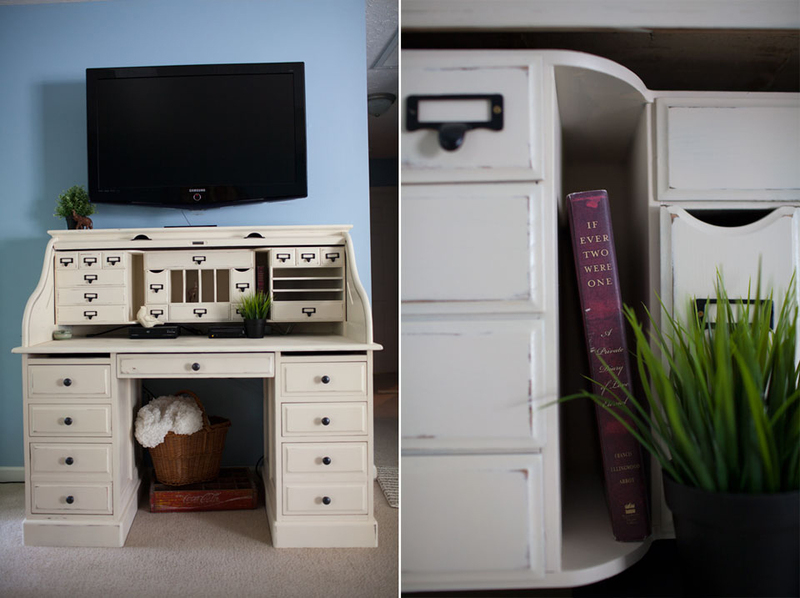 I’ve always loved roll top desks and all the little drawers on the inside of this one made me love it all the more. It was in immaculate shape, but the shiny walnut stain didn’t really jive with our home so I decided to refinish it in an antique white and give it black hardware for contrast. When I went to take these pictures I realized we neglected to put the pieces back on top of the drawer columns before attaching the desk top. Unfortunately the muscle behind this operation is out of state at the moment so I’ll have to wait for him to come home before fixing it. This is really really heavy furniture and Caleb asked me about four times to be absolutely sure this is where I wanted it before we brought the pieces in (remember that one time we moved the tv twice in one day?). Since we don’t have much paraphernalia associated with our tv, the desk works really well in this spot. We ran the wii and dvd through a hole already in the back I popped an old coke crate and a basket underneath to hide the cord mess. 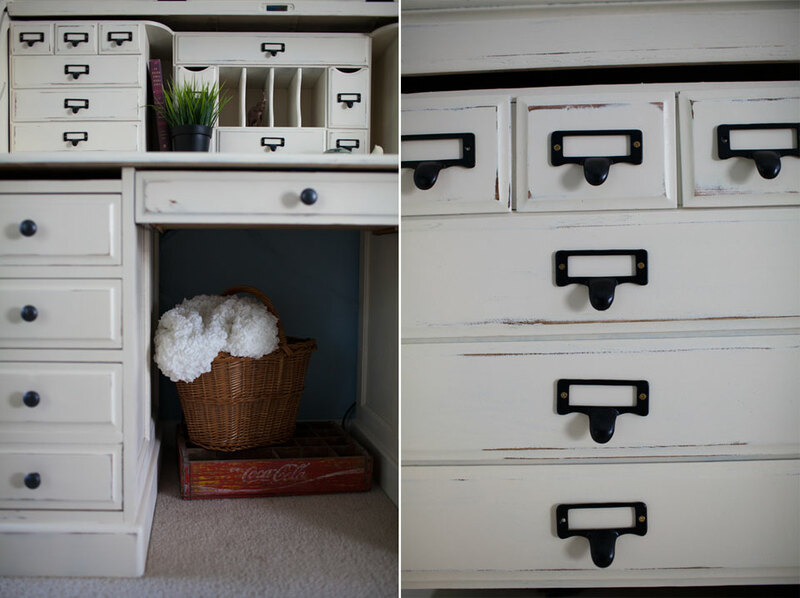 The drawers hold my office supplies and photography files. love, love, love. i dream of a roll top desk with all those cubby holes.